The FIDO Alliance, EMVCo, and the World Wide Web Consortium (W3C) announced today the creation of a new Interest Group for organizations to collaborate on a vision for Web payment security and interoperability. Participants in the Web Payment Security Interest Group will define areas of collaboration and identify gaps between existing technical specifications in order to increase compatibility among different technologies. The Web Payment Security Interest Group charter defines a scope of activities that includes formulation of a vision for web payment security, development of use cases, gap analysis, liaisons with other organizations, and identification of standardization opportunities for each organization. The Interest Group does not publish specifications. Technical work is carried out in other groups within each organization. You can read more in the joint press release. The Accessibility Guidelines Working Group has published a Candidate Recommendation of Accessibility Conformance Testing (ACT) Rules Format 1.0. It defines a format for writing accessibility test rules. These rules can be evaluated fully-automatically, semi-automatically, and manually. This common format allows any party involved in accessibility testing to document and share their testing procedures in a robust and understandable manner. This enables transparency and harmonization of testing methods, including methods implemented by accessibility test tools. This draft is now complete and ready for implementation testing. It addresses all comments received on the previous drafts and provides important clarifications on different requirements. Read about the W3C Web Accessibility Initiative (WAI). The Web Payments Working Group has published an updated Candidate Recommendation of Payment Request API. This specification standardizes an API to allow merchants (i.e. web sites selling physical or digital goods) to utilize one or more payment methods with minimal integration. User agents (e.g., browsers) facilitate the payment flow between merchant and user. The Web Application Security Working Group has published a First Public Working Draft of Feature Policy. This specification defines a mechanism that allows developers to selectively enable and disable use of various browser features and APIs. The Internationalization Working Group has published a First Public Working Draft of Strings on the Web: Language and Direction Metadata. This document describes the best practices for identifying language and base direction for strings used on the Web. 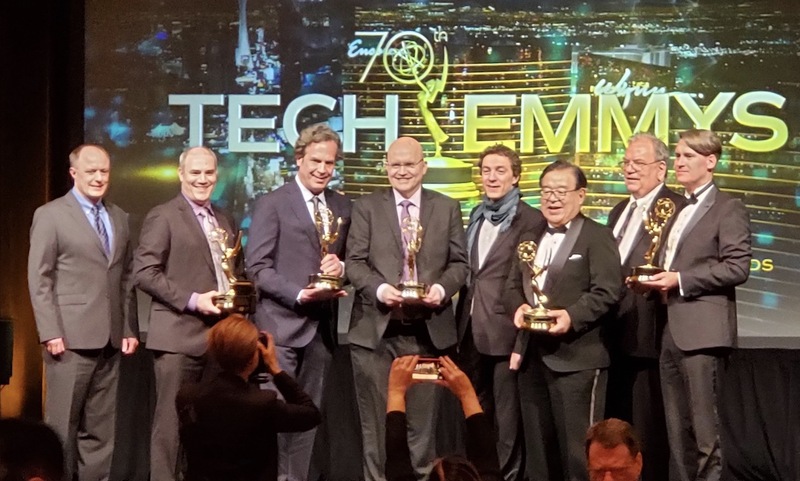 Last night in Las Vegas, as the NAB Show was kicked off by the 70th Annual Technology & Engineering Emmy® Awards ceremony, W3C representatives accepted our second Emmy® Award. The prestigious industry award recognizes our work to standardize a Full TV Experience on the Web. 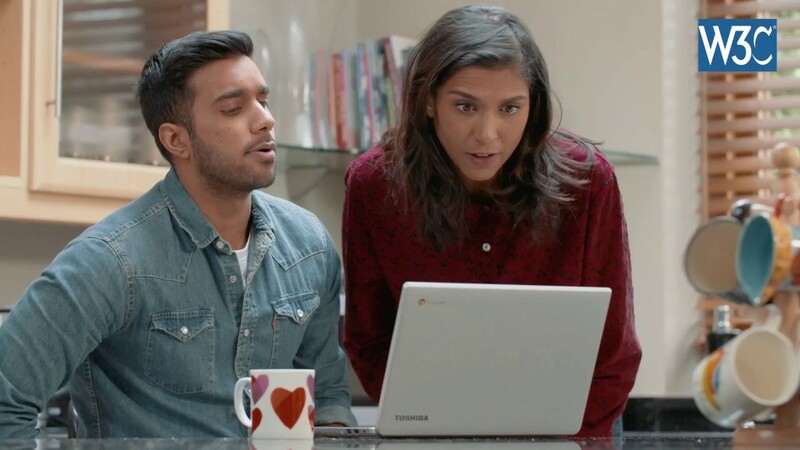 Among the myriad web technologies that the Web Consortium develops, HTML5 has brought videos to the Web, ending the era of plug-ins for media playback. The standards at the core of all web media applications today have turned the Web into an unprecedented media platform, which mixes professional and user-generated content, available anywhere, anytime, on any device, and to anyone. This marks the second Technology & Engineering Emmy® Award that W3C has received. In 2016 W3C was awarded a Technology & Engineering Emmy® Award for its work on the Timed Text Mark-up Language standard. W3C is grateful for our community and all those who work to build standards and technologies for the web. You can read more in the W3C Blog. The Pointer Events Working Group has published Pointer Events Level 2 as a W3C Recommendation. The features in this specification extend or modify those found in Pointer Events, a W3C Recommendation that describes events and related interfaces for handling hardware agnostic pointer input from devices including a mouse, pen, touchscreen, etc. For compatibility with existing mouse based content, this specification also describes a mapping to fire Mouse Events for other pointer device types. This new W3C Recommendation supersedes Pointer Events Level 1. The Timed Text Working Group has published an updated Candidate Recommendation of WebVTT: The Web Video Text Tracks Format. This specification defines WebVTT, the Web Video Text Tracks format. Its main use is for marking up external text track resources in connection with the HTML <track> element. WebVTT files provide captions or subtitles for video content, and also text video descriptions [MAUR], chapters for content navigation, and more generally any form of metadata that is time-aligned with audio or video content. This specification is based on the Draft Community Group Report of the Web Media Text Tracks Community Group. Become a Friend of W3C: support the W3C mission and free developer tools. SICS (Swedish Institute of Computer Science) promotes the uptake of Web standards through advanced IT research and development in collaboration with national and international industry, as well as with public sector organizations. SICS is also hosting the Swedish W3C Office.